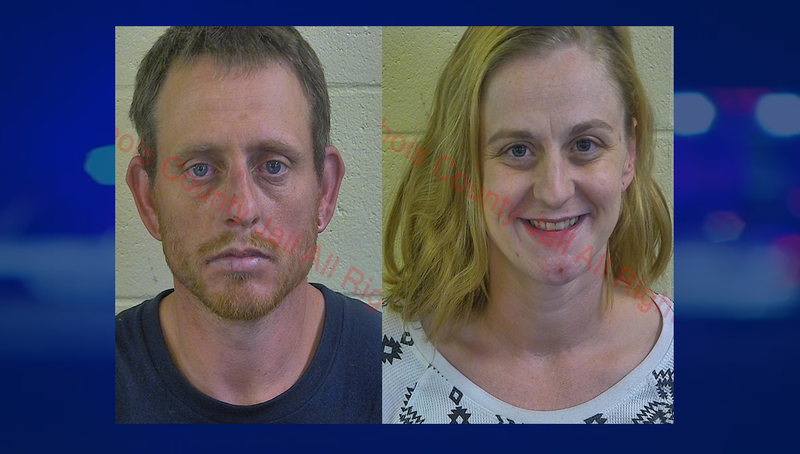 JASPER -- A Jasper woman and her male passenger are in the Dubois County jail today after leading police on a chase overnight. Police tried to stop 33-year-old Ashley Childress after she reportedly hit a curb and swerved left of center near the intersection of Sixth and Newton Streets just before 12:30 this morning. But she wasn’t going quietly. She allegedly drove off when police tried to stop her. The chase proceeded onto Mill Street and traveling the wrong direction on a one-way street before crashing into a curb. Police had to taze Childress. A male passenger, Andrew Lyon, was also taken into custody on an outstanding warrant out of Martin County for failure to appear. Childress is charged with felony Resisting Law Enforcement and Criminal Recklessness. She’s also charged with Reckless Driving and multiple other traffic offenses. Childress is also held on a meth possession warrant out of Orange County.